Style Challenge with George at Asda…#Mini Me! 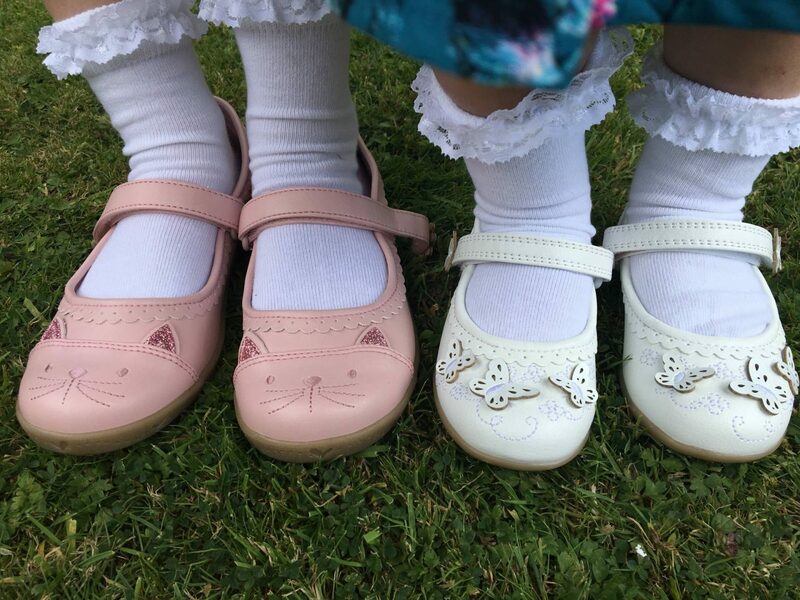 As Alice has got older she notices more of the detail in everyday life and this includes when we happen to be wearing the same colour clothes or we are both wearing sandals. She loves it when this happens and comments all day long. So, when George at Asda got in touch and asked if we wanted to take part in their Mini Me Style Challenge, I knew this was perfect for us. 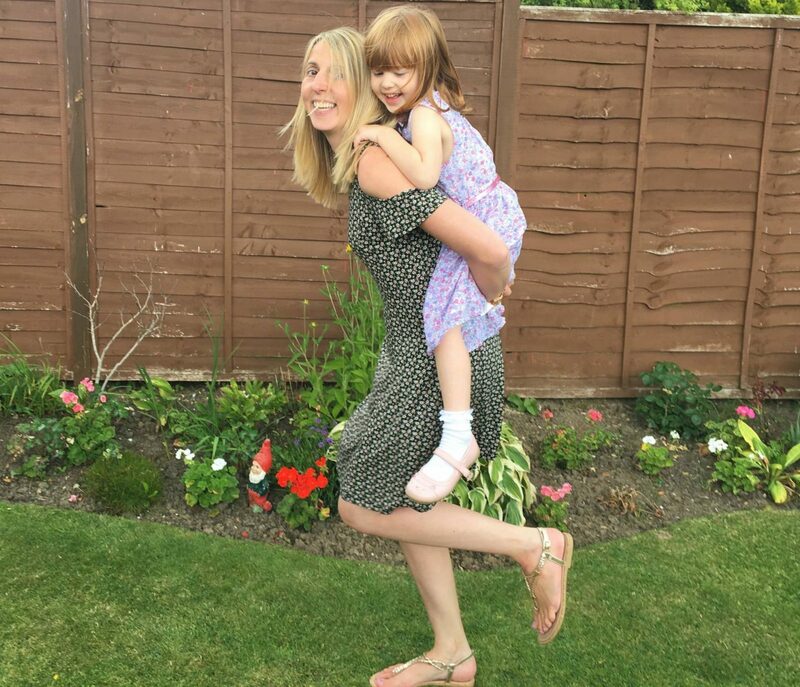 The challenge was for us to style ourselves as matching mummy and daughter ready for a birthday party. Alice just loves clothes, well actually she just loves dresses or skirts. She knows what she likes, but more importantly she knows what she doesn’t like. While Holly was napping Alice and I sat down together to choose our outfits. I explained to her that it was a mini me challenge and we needed to have a theme for the three of us. Of course it was always going to include dresses and after scanning through their range of dresses, we decided to go for a floral theme. 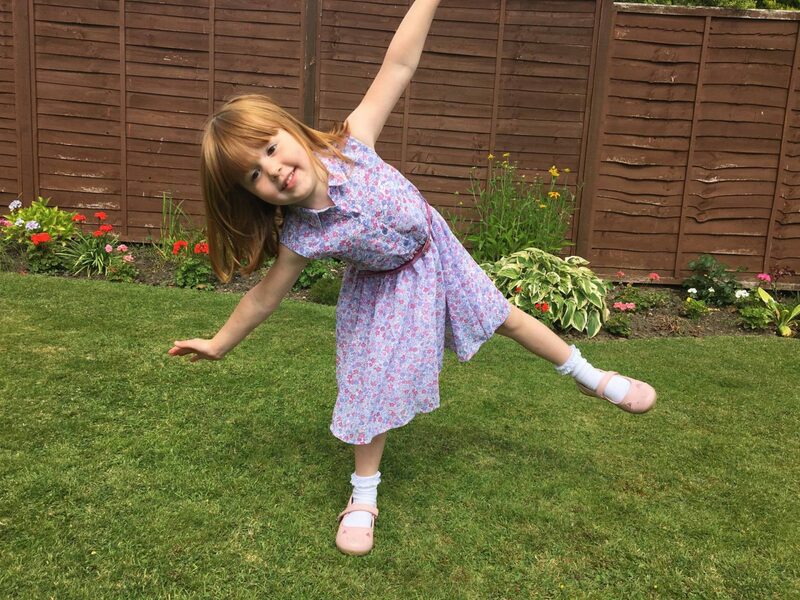 Alice choose this gorgeous shirt style dress with a pretty sparkly belt. The dress is gorgeous and is fully lined, having never brought children’s clothes from George before I was really impressed. 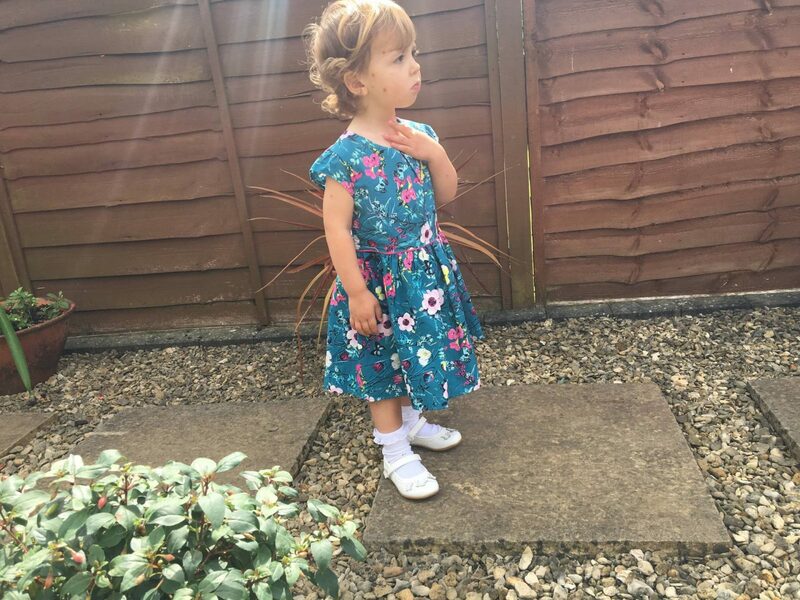 For Holly we choose a beautiful floral dress for her to wear, again it is completely lined. I just love this colour and the pleat detail at the neckline. I went for a floral print cold shoulder style dress. I love these style of tea dresses and I didn’t have one with what they call a cold shoulder and I thought it would be a nice detail to the dress. Next was mummy’s favourite part choosing some shoes to match. Alice choose the pink cat face shoes and she loves the sparkly ears. 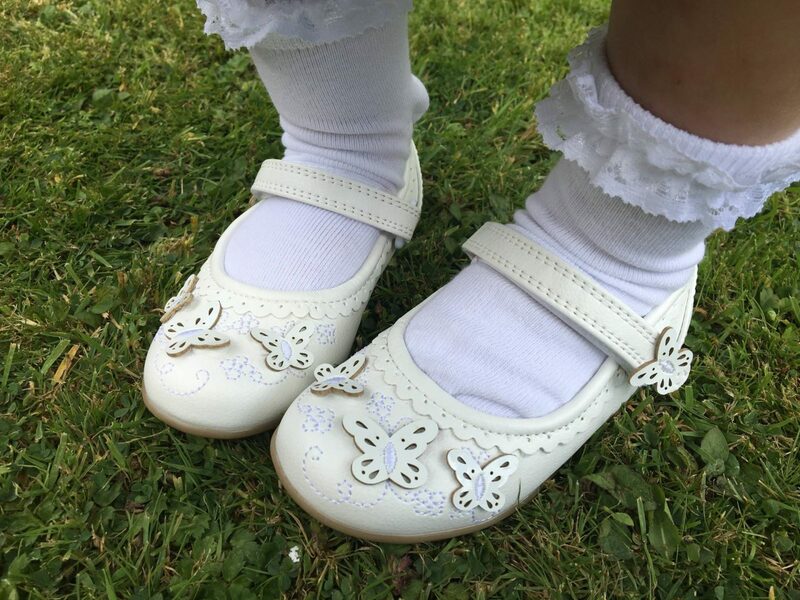 For Holly it was these gorgeous white butterfly shoes that matched her dress perfectly. I choose these beautiful plait sandals, I wasn’t too sure about the cork detail on the sole, but actually you don’t even notice it when they are on and they are really comfortable to wear. 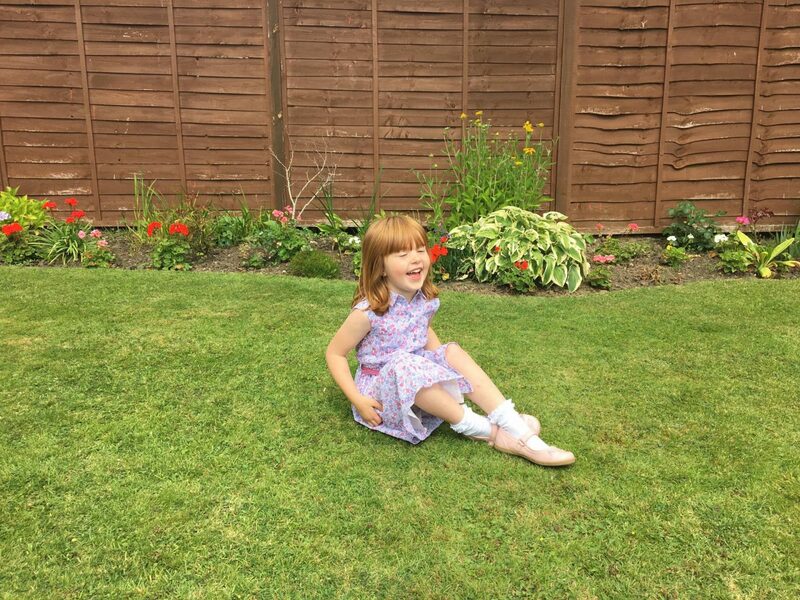 As my little Holly had chicken pox we had our little fashion shoot in my parents garden one afternoon. The girls just loved trying their outfits on. 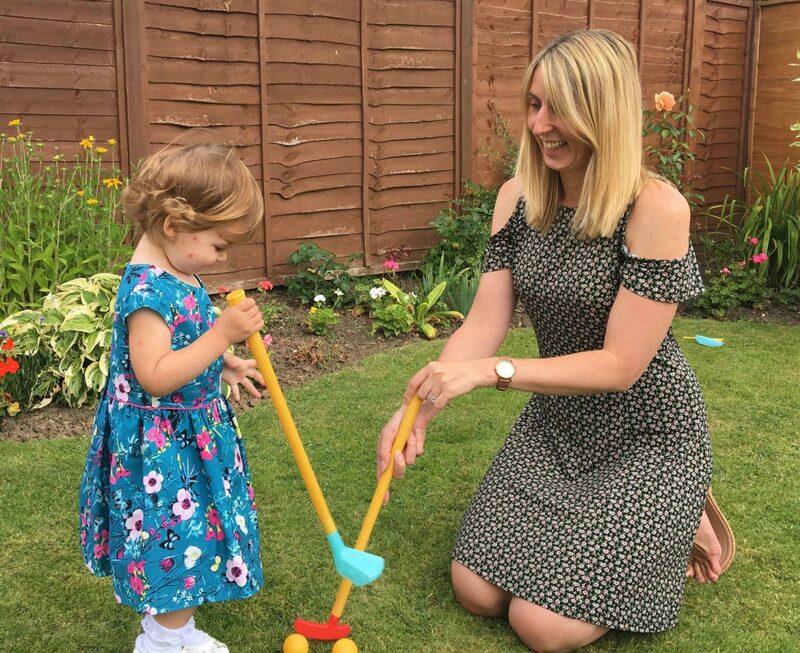 We had a dance, played mini golf and had fun in our gorgeous new outfits. 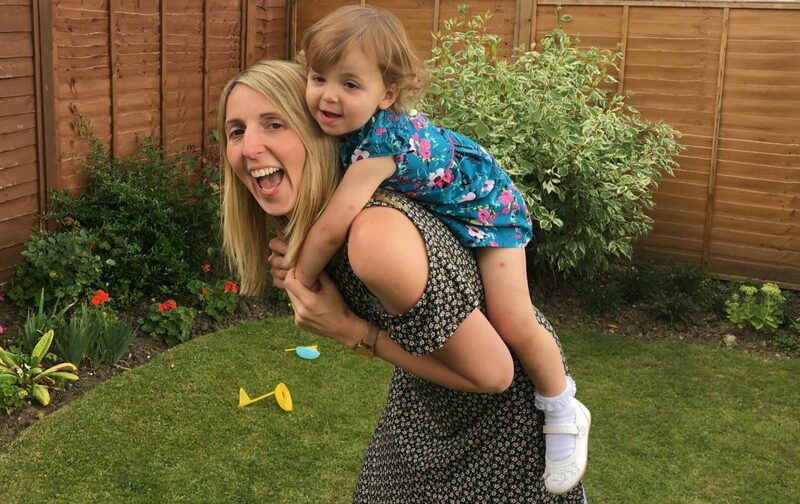 What do you think of our mummy and daughter outfits? Disclosure: We were invited by George at Asda to choose our outfits for the purpose of this challenge. All views and opinions are my own. You all look gorgeous! Just shows that you don’t have to spend too much. I buy quite a few George clothes – all good quality for the price! You all look so lovely! Those sandles are really nice, I’ll need to have a look in store for them. I really like asdas clothing, I shop there quite often. 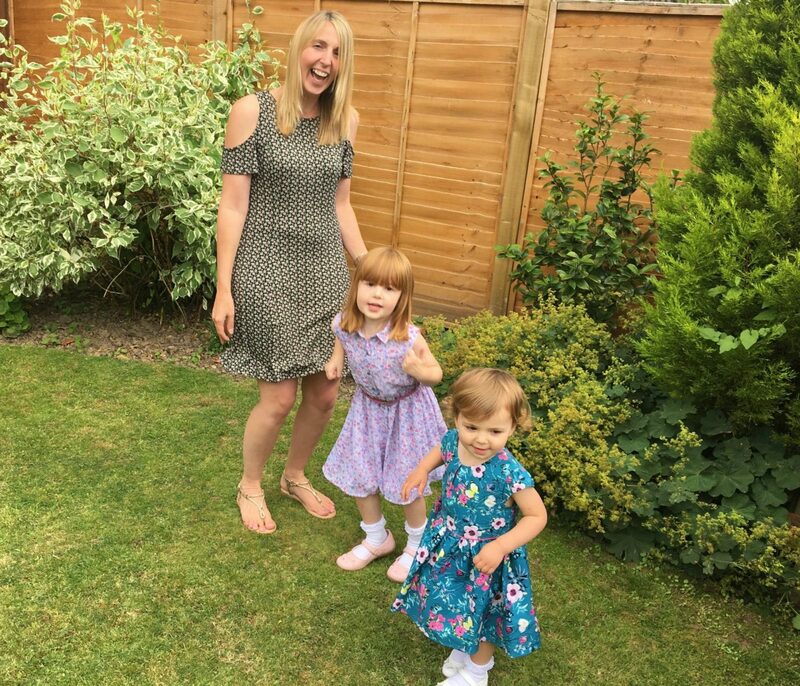 I think you and your girls looked absolutely gorgeous, I am loving these floral dresses and the shoes choosen. How utterly adorable! Loving those kids shoes, and they’re always so reasonably priced at Asda. Hope your wee one heals from her chicken pox soon! You all look fab. I am in love with the dresses. So cute. Love the outfits. I buy loads of clothes from Asda for both me & the little man. The teenager won’t have anything unless it’s designer now though! Gorgeous photos of you all and what lovely pictures to look back on of you and the girls together. 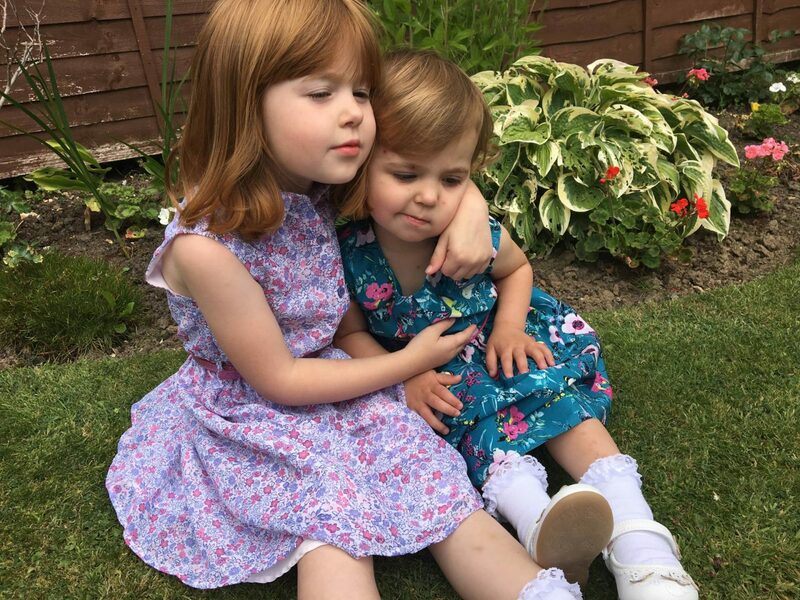 All of your outfits are stunning, I know that Lia in particular would love Holly’s dress, the bright colours are perfect for their age.